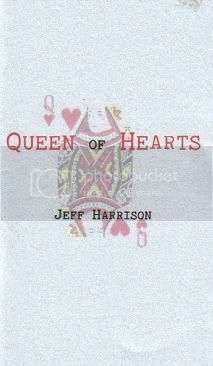 New from PERSISTENCIA*PRESS, QUEEN of HEARTS by Jeff Harrison. "With forlorn minimalism, Harrison weaves a delicate and elusive love poem -- or something like one. 23 pages, staple bound, color cover art." Copies are free of charge. E-mail persistenica_press AT yahoo DOT com to order. No Wave: 'zine is a 4-letter word! A slim & shoddy publication meant to showcase street, punk, outsider, "deviant", lo-fi, minimalist, bizarre, and assorted "no wave" art, poetry, prose, and critical theory. Each issue will feature no more than eight contributors (usually fewer). It is to be largely cut & paste or handwritten, with marginal white space, corner stapled. Distributed for free thru PERSISTENCIA's mailing list, it will also be handed out at random on the streets and in the mailboxes of poor unsuspecting bastards. And they are, like, not buying. Uh, the satanic philos, i mean. Things that are vague like "oh, no problem,"
"it was nothing," "no, dude, it hardly..."
For sketchies, again. i don't find any. I get another call. ambiguous again. Jill-- i tell her i'm dead for a few. Maybe he's racist, or maybe just reasonable. Door that is wide open with the AC going. My family leaves, and that's it. About being kind or old. On, walk away from Aunts & Jess.